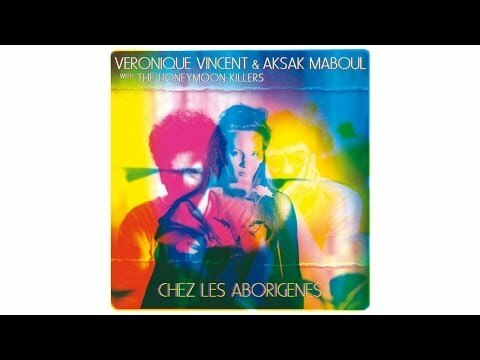 In the spring of 1977, two young Belgian musicians who called themselves Aksak Maboul (aka Marc Hollander & Vincent Kenis) set out to record an album, Onze danses pour combattre la migraine, in which they playfully fused and deconstructed all kinds of genres to create their own musical world. Three years later, Hollander founded the Crammed label. Many ingredients came in and out of the Aksak blender: fake jazz, electronics, imaginary African & Balkan music, minimalism... there were even pre-techno aspects such in as Saure Gurke and its characteristic keyboard stab pattern which will mysteriously find its way into many classic Detroit techno tracks some ten years later. Onze Danses became a cult album, and seems retrospectively to have mapped out the way for the various directions which have been explored by Crammed during the next three decades. In 81 Aksak Maboul joined forces with the Honeymoon Killers, and from then on made only a few appearances under that name (one third of the first Made To Measure volume, original music for fashion designer Yohji Yamamoto's shows), but the spirit lived on, as both of the original protagonists playd a very active role in many Crammed productions, either together or separately. 2014 saw the release of the mythical, 3rd Aksak Maboul album, which was announced ever since Crammed Discs' first catalogue, back in 81. It's the avant-electropop opus now known as "Ex-Futur Album", which was written, recorded and unfinished in 1980-83 by Marc Hollander and Honeymoon Killers vocalist Véronique Vincent in collaboration with Vincent Kenis. The album has been assembled (and partly retrieved from demos & rough mixes), mixed and released in late 2014, with a slight delay of... 30 years. It came out under the artist name Véronique Vincent & Aksak Maboul. Following the warm reactions to "Ex-Futur Album", Véronique Vincent and Marc Hollander started to play live shows in early 2015, for the first time since the '80s, with a new Aksak Maboul line-up including three people who weren't even born when the songs were recorded: Sebastiaan Van den Branden & Christophe Claeys (both from Amatorski) and Faustine Hollander. The band performed in France, Germany, Belgium, the Netherlands and Switzerland, appearing a.o. at festivals such as Les Femmes s'en mêlent (F), les Nuits Botanique, Beautés Soniques & Deep In The Woods (BE), Incubate & Into The Great Wide Open (NL), and Face Z (CH). October 2015 saw the vinyl reissue of "Onze danses pour combattre la migraine", in its original, 1977 artwork, with extensive, revised liner notes and three downloadable bonus tracks. Then came Véronique Vincent & Aksak Maboul's "16 Visions of Ex-Futur" (Oct 2016), a full album containing 16 reinterpretations (covers and reworks) created by Jaakko Eino Kalevi, Aquaserge, Laetitia Sadier, Forever Pavot, Flavien Berger, Nite Jewel, Bullion, Burnt Friedman, Hello Skinny, Marc Collin, Bérangère Maximin, Lena Willikens etc, as well as two "self-covers" recorded by the 2016 line up of Aksak Maboul. The release was celebrated by a special collaborative project, dubbed AKSAK MABOUL 'REVUE': Véronique Vincent & Aksak Maboul performed a string of exclusive shows in Paris, Brussels, Frankfurt, Cologne and London, featuring Laetitia Sadier (Stereolab, UK), Jaakko Eino Kalevi (Domino Recs, FI) and Aquaserge (FR). This ephemeral 9-piece band played Aksak Maboul music as well as some of the guests' own material. Further releases (including new material) are scheduled for 2018.